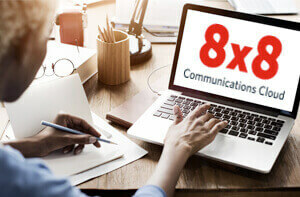 Housing Association Turns to 8x8 Cloud Communications | 8x8, Inc. Ore Valley Housing Association was registered in 1991 by a committee of volunteers based in Cardenden, Fife, Scotland. Ore Valley Housing Association is a non-profit organization which owns, rents and manages rental housing. As a non-profit, the revenue generated from rentals is invested back into the acquisition and maintenance of property. Housing associations were developed with the goal of making housing available and affordable for all. In the recent past, they have been perceived as an option for those in the lower-income brackets or in particular need. However, as housing becomes more expensive, especially in larger cities, housing association rentals may increasingly provide the best opportunity for younger people to find a home in a desirable area. The Association has acquired properties through new build and the “mortgage-to-rent” plan over a number of years and now owns 659 properties and currently employs 15 full-time staff and 2 part-time staff. The Lochgelly Business Centre forms a central part of the Lochgelly regeneration strategy being driven locally by Fife Council and Ore Valley Housing Association. It was designed as an “incubator” business centre on the town high street to accelerate the successful development of entrepreneurial companies through the provision of an array of shared business support resources and services. It became very clear that Ore Valley’s security was constantly at risk. Clark quickly realized the importance of replacing his on-premises PBX with a secure and reliable business telephone system which was simple to use and maintain and would meet the Association’s current and future telephony requirements. “I was also looking for a cost effective solution which provided an easy transition from our existing system and importantly, a return on the Association’s investment,” adds Clark. As soon as Ore Valley’s long time IT provider, ITFA, was aware that a security breach had taken place, one of its Directors Steven McGuire, who has had a working relationship with Ore Valley for more than ten years, called Clark to say that 8x8’s hosted cloud-based business telephone solution could provide the answer to his problem. 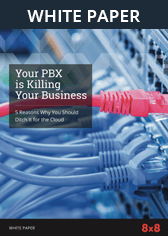 “I conducted some research within the business telephony marketplace and did look closely at a number of options from a variety of providers,” says Clark. “But I was influenced most by the guidance from ITFA. As a trusted partner, I knew that ITFA’s primary objective was to ensure that Ore Valley chose the system that was best for us.” ITFA arranged to give Clark and one of his Directors a demonstration of the 8x8 business telephony solution. “Steven arrived with a single IP-enabled phone, plugged it into our network and set up an extension number for my Director. This was a great example of just how quickly and easily you can get up and running with a cloud-based solution,” comments Clark. Apart from ease of use and ease of installation, Ore Valley’s choice in the selection of 8x8 as its preferred telephony provider was driven by the fact that no capital investment was necessary. “8x8’s pay as you go flat pricing structure really appealed to me,” adds Clark. The 8x8 solution was installed in a day. The speed of installation was helped by ITFA’s data networking expertise enabling the completion of a full site survey prior to installation which was shared with 8x8. Another key element in Ore Valley’s decision making process was the business continuity and disaster recovery capability which 8x8’s solution delivered. If for whatever reason our network is down, our employees can simply take their phones and plug them into an Internet connection and work from wherever they want,” explains Clark. Ore Valley now has a secure, robust cloud communications solution which provides the telephony features and functionality it requires today as well as meeting its requirements of tomorrow. 8x8’s pay-as-you-go flat rate, which covers the leasing of telephones, inclusive minutes, system maintenance and system upgrades, ensures that Ore Valley will not be hit by unexpected costs or hidden charges. Deployment of the 8x8 solution is playing a key role in improving internal and external communications for Ore Valley. Ore Valley’s Director was particularly impressed with 8x8’s built-in audio conferencing capability which integrates with Outlook making it easy to schedule both internal and external conferences. Clark is also happy with the support he has received from 8x8. “All of our interactions have been superb with the technical support team being especially helpful and very pro-active in finding solutions to our teething problems,” he added. Steven McGuire was quick to demonstrate to Nick Clark that he could quickly and easily solve the Association’s considerable security issue with a solution from ITFA’s trusted partner, 8x8. McGuire was confident that 8x8 would work closely with him to deliver a solution which met Ore Valley’s needs. 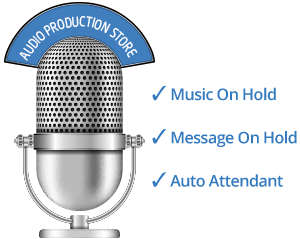 “I am extremely happy with 8x8’s cloud-based communications solution. I have a secure, reliable and cost effective business telephone system. I can only really add that it flat-out does what it says on the tin,” concludes Clark.